Christian Bale and Wife Sibi Blazic to Have Their Second Child! 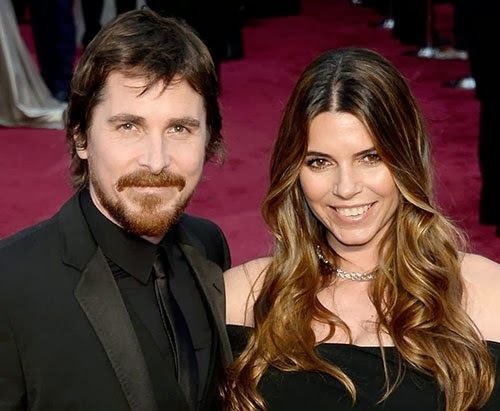 Striking Hollywood with some happy news after losing Best Actor at the 86th Academy Awards, Christian Bale and his lovely wife, Sibi Blazic are expecting their second child together! Walking the red carpet at the Academy Awards with a slight baby bump, a representative for the couple declined to comment on Sibi's pregnancy at the time, but E! News has confirmed that the rumors are true, and that Sibi is no longer able to conceal her growing tummy! Although no juicy details have been released about the baby, reports state that the "American Hustle" stud was seen patting his wife's stomach when they ran into a friend. The proud celebrity sweethearts are parents to their 8-year-old daughter, Emmeline, whom they gave birth to in 2005, and it's safe to say that Christian will keep details close to his chest for the time being.